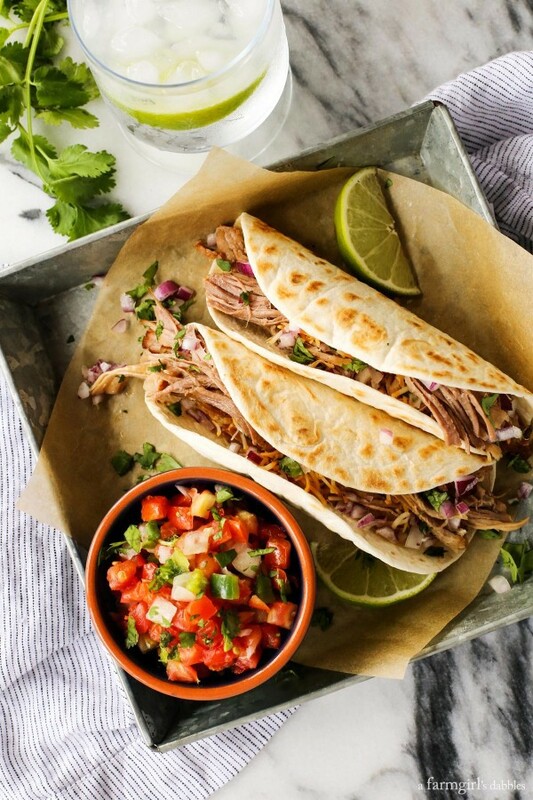 Carnitas is one of our family’s favorite taco meals. The pork is ultra tender, flavorful, and super simple to make! You’re going to want to hold on to this baby. 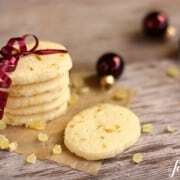 Our family and friends LOVE this recipe!! Carnitas, literally “little meats”, is braised or roasted pork in Mexican cuisine. 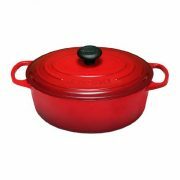 It is essentially pork pot roast – a chunk of inexpensive heavily marbled shoulder meat braised in a Le Creuset French oven until it falls apart. 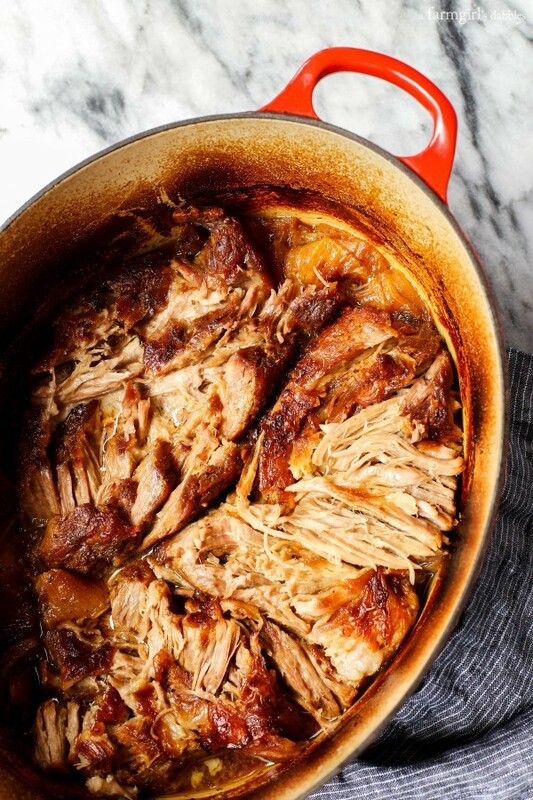 The pork is absolutely fantastico…tender, flavorful, and so super simple to make. I’m confident that nobody could mess up this recipe for Carnitas with Sautéed Sweet Peppers! 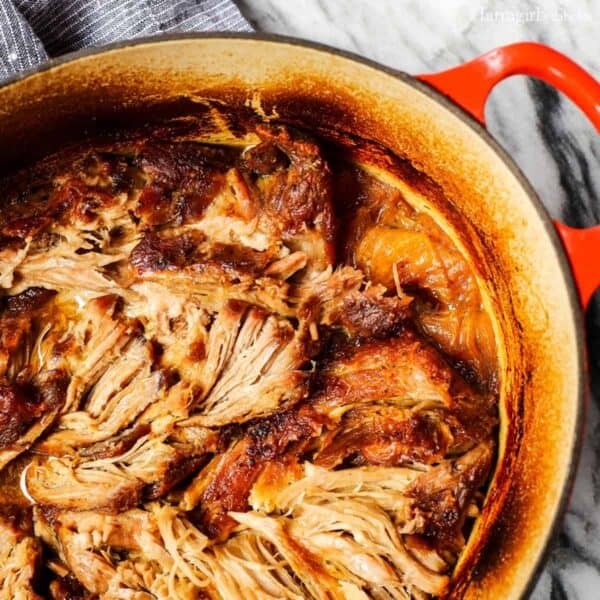 “Carnitas Night” is one of my family’s all-time favorite home cooked meals. And, yes, we really do refer to it as Carnitas Night! Our oldest daughter, Hatti, has even begged to stay home from school on days that I’m making this, saying she wants to smell it cooking all afternoon. Now if that isn’t a testimony, I don’t know what is. We especially like to make this meal around Cinco de Mayo, but it’s great all year ’round. We also like to host Carnitas Night for friends and visiting family. It’s one of those meals that gets the house smelling all awesome before guests arrive. And if you want to prepare the pork and sweet peppers ahead of time, this recipe totally works that way also. We always offer plenty of warm tortillas to fill with the tender seasoned pork. I also make sure to have a big pot of rice and a bowl of crisp, chopped Romaine lettuce, for those who would rather eat a taco bowl or taco salad. 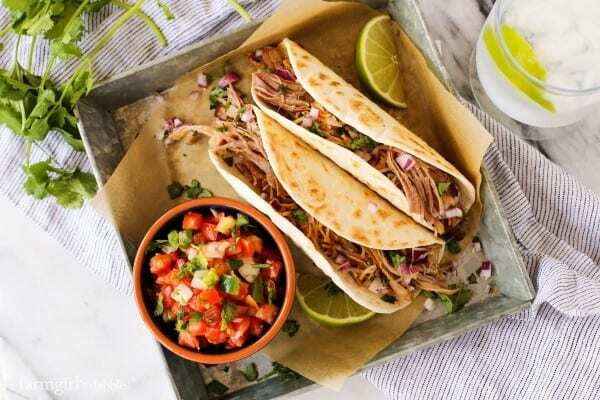 Carnitas Night is extra fabulous with a variety of toppings and condiments to play with. Our table always involves sautéed sweet peppers, pickled red onions, guacamole, sour cream, chopped cilantro, and a variety of salsas. Fresh lime wedges are abundant, too, as a squeeze of that bright and lively acidity makes the whole combination burst in your mouth. And I can’t help but mention that margaritas are optional with this meal, but highly recommended. 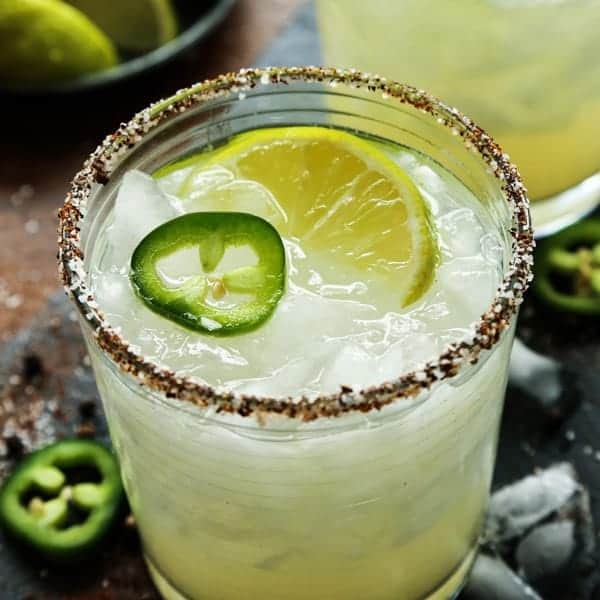 Here’s my go-to recipe for a traditional margarita. 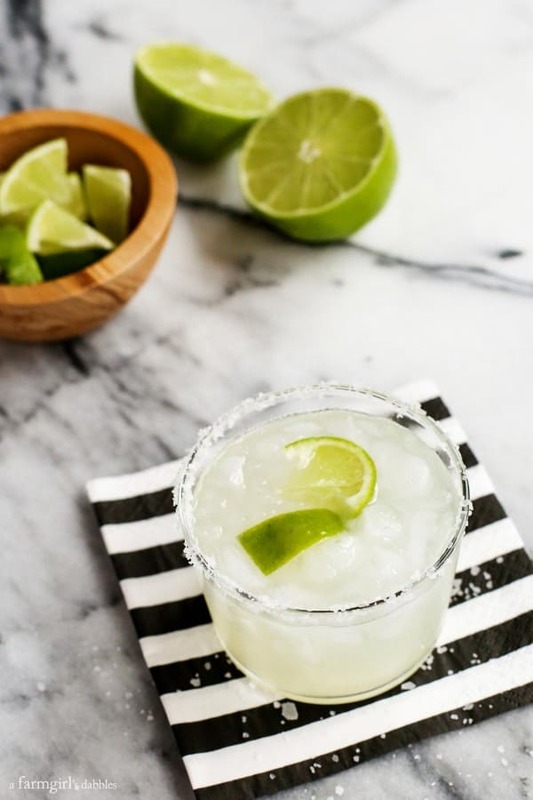 And this recipe for Prosecco margaritas is great for entertaining, as it’s a big-batch recipe. No mixing up single drinks! 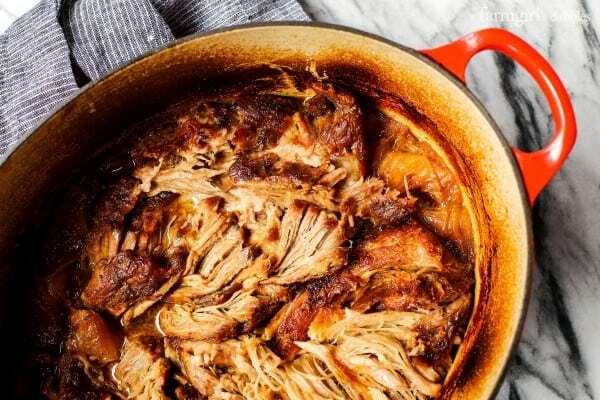 Pork is seasoned with oregano, cumin, and paprika, and then braised nice and slow, until it’s fall-apart tender. Serve with warm tortillas and your favorite taco toppings and condiments. Remove pork from refrigerator an hour before starting to cook. Rinse and pat dry with a paper towel. Sprinkle all over with salt and pepper, fairly generously. Heat a 5 to 7 quart French oven over medium to medium-high heat. Add oil. When oil is hot and starts to shimmer, add pork. Cook until nicely browned and then turn, repeating that same process until all sides are browned. Add broth, onion, oregano, cumin, and paprika. Turn heat up a bit to bring liquid to a boil. Then spoon some of the hot liquid over the top of the meat. Place the cover on and transfer to preheated oven. Cook until meat is literally falling apart, about 4 hours, spooning liquid over meat once or twice during cooking. About half an hour before the meat will be done, prepare the sweet peppers. Cut into long slices, about 1/4″ wide or so. 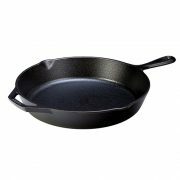 Heat a wide skillet over medium heat – I like to use a large cast iron skillet. Add butter and olive oil. When the butter has melted, add the peppers, stirring to coat. Cook for about 10 minutes, letting them soften up. Then turn up the heat to medium-high. Let the peppers start to darken and char, stirring every couple minutes. When peppers reach your desired doneness, remove pan from heat. Transfer peppers to serving dish. When the pork has finished cooking, remove pot from the oven and place on stove top. Transfer meat to a platter. 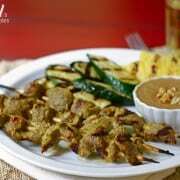 With a large spoon, push meat off the bone in chunks; discard bone and any large pieces of fat. Transfer pork back to French oven and turn on heat to medium-high. Cook, stirring with a large wooden spoon to break up pork, until liquid in French oven has almost entirely evaporated and meat begins to sizzle and caramelize, 5 to 10 minutes (the meat should pull into shreds very easily as you work). Serve with small (taco or fajita size) warm tortillas, the sauteed peppers, and your choice of condiments. A great alternative is to skip the tortillas and serve everything over white rice or fresh chopped Romaine lettuce. This recipe changed my thoughts on instant pots and slow cookers – the flavor is unmatched by cooking it in the oven. WOW! Amazing. I really did get rid of the instant pot after making this – not kidding! Excellent! We love many of your recipes, but this may be on the top three list. 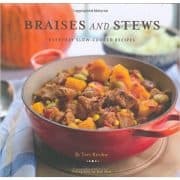 I still love braising in the oven, too!!!!!!! 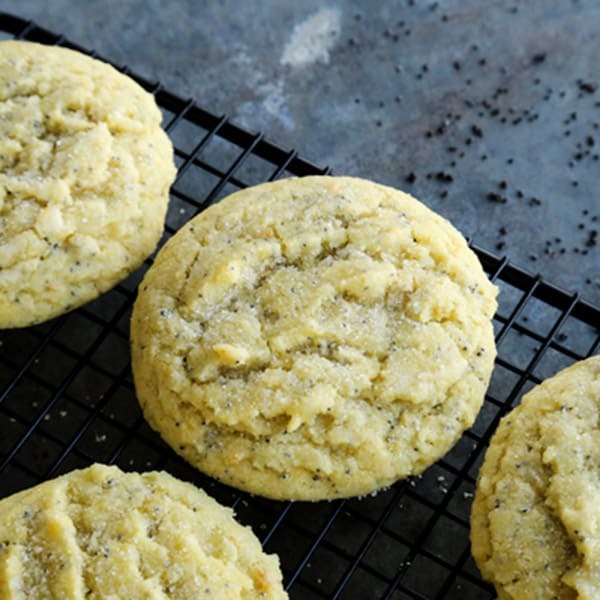 You picked a recipe that is a top favorite of our friends and family. 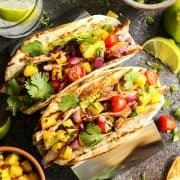 So many people LOVE this recipe! One of our favorite meals – making it this week for our daughter’s birthday party! Have you ever made the pork the day before? I’m thinking of cooking it up to the point of taking it out of the oven, but I don’t want it to be dry. Thoughts? Hi Lisa. Definitely. This is a great make-ahead recipe. There should be plenty of juices in the pot – just save all the juices with the pork (don’t drain and throw the juices!). I just did the same thing this past weekend – put it all in a bowl and put it in the freezer, to thaw, heat, and serve when we are hosting a big group of family next weekend. Let me know how it goes! I almost never comment on recipes (even though I try lots of them!) but this one was THAT good!! Sooooo delish!! YAY!! Thank you so much for coming back to let me know. This is one of our very favorites. Made these tonight and they turned out fantastic! Great recipe! Hi Dave – I’m glad you enjoyed them. Thanks so much for letting me know! I Will always remember the look on Owen’s face when you made these for him. Like he was in heaven! Fantastico is an understatement! You hit the perfect spring Spanish notes with this meal. Loved it! Love you! Keep the good stuff coming. I’m with Hatti, smelled good. tasted better!